No K-12 distance, online, and/or blended learning articles in this issue. 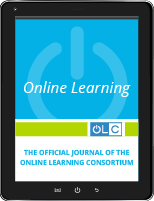 New Issue of the Online Learning Journal available. Email not displaying correctly? This first issue of 2019 contains 15 articles reflecting a broad range of topics, research questions, and methods. This collection of studies advances our understanding of cultural, theoretical, pedagogical, methodological, faculty, and professional development concerns in online settings. We invite you to read and share this issue with colleagues and to consider submitting your original work to Online Learning. If you are interested in submitting content to the Online Learning Journal, please review our author guidelines. Submission topics must relate to online and/or blended learning. There are no article submission fees or access charges for publication in this open journal prior to or after acceptance of the article. Note that I am one of the authors of this article. State-level departments of education vary in their mechanisms for monitoring online courses and programs. This study reviewed various state models for initial and ongoing evaluation of online courses. Five constructs were identified through this review, and examples from Georgia, Maryland, California, Washington, and Colorado were detailed. The report concludes with potential models and key guidelines for states to consider when developing policy to ensure quality online education for K-12 students. Note the item below that Mark Stevens, Jered Borup, and myself wrote that focuses on K-12 blended learning. The latest issue of Contemporary Issues in Technology and Teacher Education is now available on LearnTechLib, the Learning & Technology Library. 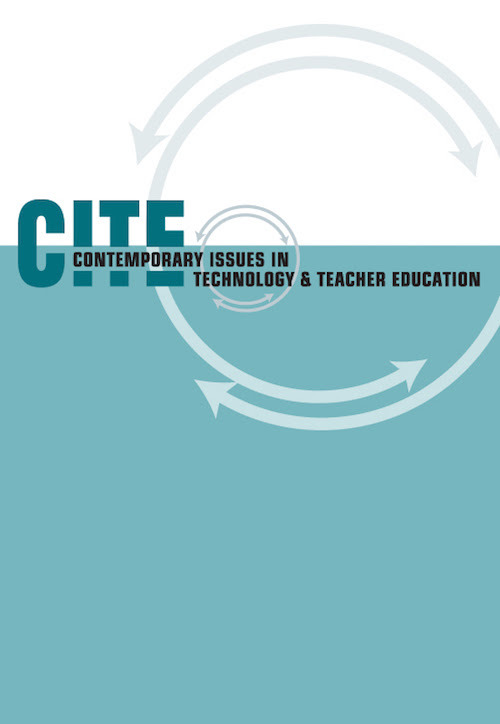 You will automatically be emailed the Table of Contents whenever a new issue of Contemporary Issues in Technology and Teacher Education is placed in the Digital Library. Are you currently subscribed to LearnTechLib, the Learning & Technology Library? Please visit http://www.learntechlib.org/subscribe for more information on Individual Subscriptions to LearnTechLib. Please visit http://subscribe.learntechlib.org/dl/library/ for more information on Library Subscriptions to LearnTechLib. No K-12 distance, online, and/or blended learning items in this issue. faculty, and professional development concerns in online settings. Thanks for your continuing interest in Online Learning. This K-12 online learning article was referenced in last week’s [IRRODL] New Notification From The International Review Of Research In Open And Distributed Learning. With the rapid growth of K-12 online learning opportunities, calls have come for more and better parental engagement to improve student engagement and reduce student attrition. In this article, we drew from a larger study to share rich narratives from three parents of students who required high levels of parental support for their online learning while enrolled at a charter cyber school. In the first narrative, a mother describes her experiences attempting to work with her son Ivan, who rejected her efforts and disobeyed rules while enrolled in the cyber school. The move from a brick-and-mortar school to the cyber school further strained their relationship and the mother was unprepared to manage Ivan’s learning. The second narrative focuses on how a mother attempted to support Matthew, who lacked self-regulation abilities. The mother who previously homeschooled Matthew, turned to the cyber school because she wanted “less on [her] shoulders” but underestimated the amount of support Matthew required and became frustrated at her lack of control over the pace and content of courses. The final narrative focuses on a mother who had two students enrolled in the cyber school. Each student exhibited different needs that required her to adapt the support strategies she used with Hannah, who procrastinated, and Karl, who lacked confidence. These narratives highlight some of the complexities parents navigate when engaging with their children’s online learning.